Wow. 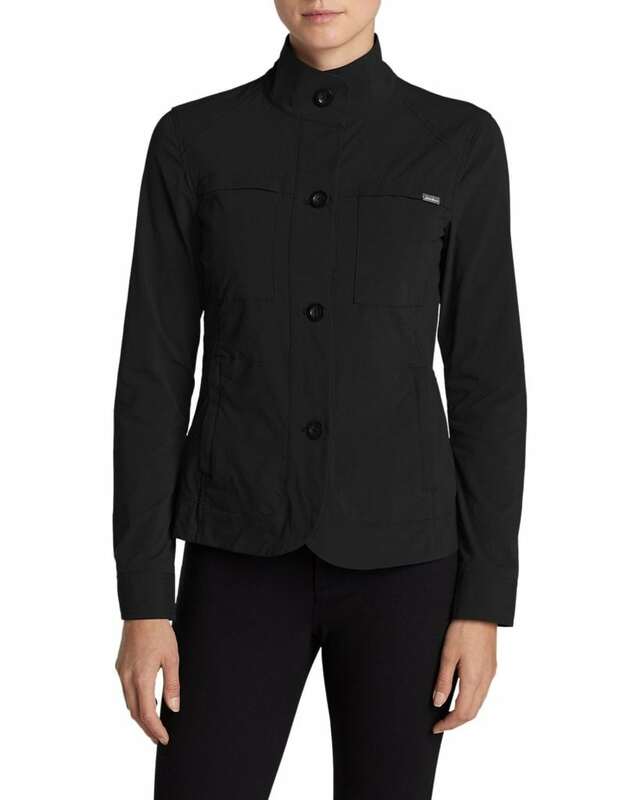 Every time I try one of Eddie Bauer’s businessy jackets, I like it even more than the last. The Eddie Bauer Voyager 2.0 Jacket is an easy way to bump up your travel style. 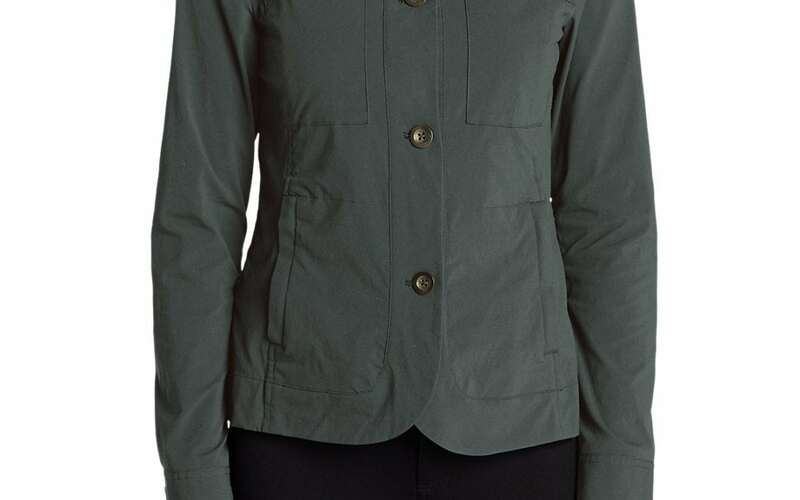 It has an almost military look that is flattering and professional. At the same time, it’s versatile. 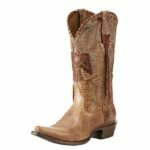 You can wear it with jeans, over a dress, or with the Eddie Bauer Voyager Ankle Pants for a summer suit look. It’s made for travel with pockets designed to use. 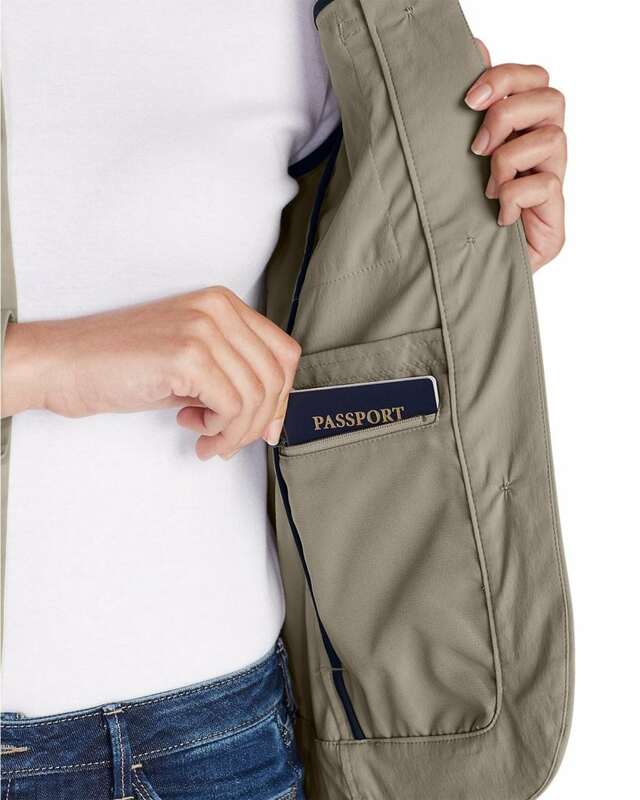 There’s an inner pocket for your passport. A Storm Repel DWR finish is weather repellent, so if you get caught in the rain right before your meeting, your look will be preserved. It has some give to it, so if you want to do something active, you’re good. This will take you from business scenarios to the trail and to dinner easily. It comes in three colors, I’m partial to the black which is sleek and elegant. 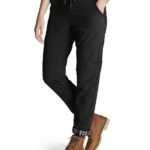 The Voyager Ankle Pants complete the outfit and I definitely recommend them with the jacket so you have a suit option. Sizing, if you are 5’5 and under is tricky. I tried the regular length but they are full-length on me (I normally wear petites in EB). If you are 5’5 or shorter, I would order petite if you want the cropped look, and possibly down one size–the petite might fix the larger fit (on me they felt larger, mileage will of course vary). 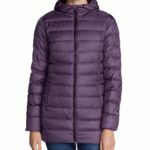 This is probably my favorite Eddie Bauer jacket yet, it is really great looking, practical, and makes me feel put-together. It’s also something different with that dignified, slightly edgey military style.